If you have seen the movie trailer of "Unstoppable" (below) or have read some early reviews of this film, chances are, you haven't seen it or read it all yet. 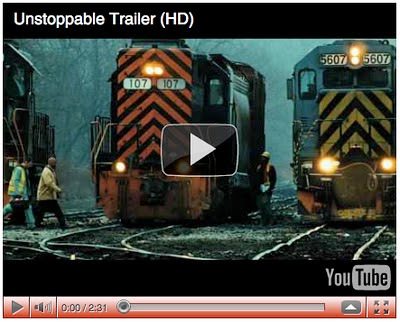 Basically, the movie trailer of "Unstoppable" does not tells it all. One good point where you can finally say that "don't judge the movie by its trailer". Last Tuesday, November 9, I was once again invited to attend yet another premiere night courtesy of 20th Century Fox (Philippines) held at Glorietta 6 Cinema. Much from expectation, the premiere night was well-attended with celebrities such as sportscaster Anthony Suntay, Pinoy Fear Factor winner Jommy Teotico, and singer Jeffrey Hidalgo to name a few, and some more people from all walks of life. It was a night of full of jam-packed action I can never forget. I never thought a runaway train could give me an intense palpitation for literally, every single scene that was playing in each frame of the reel. Who would have thought that caffeine was not needed anymore to give me a sudden andrenaline rush. And I am not kidding. 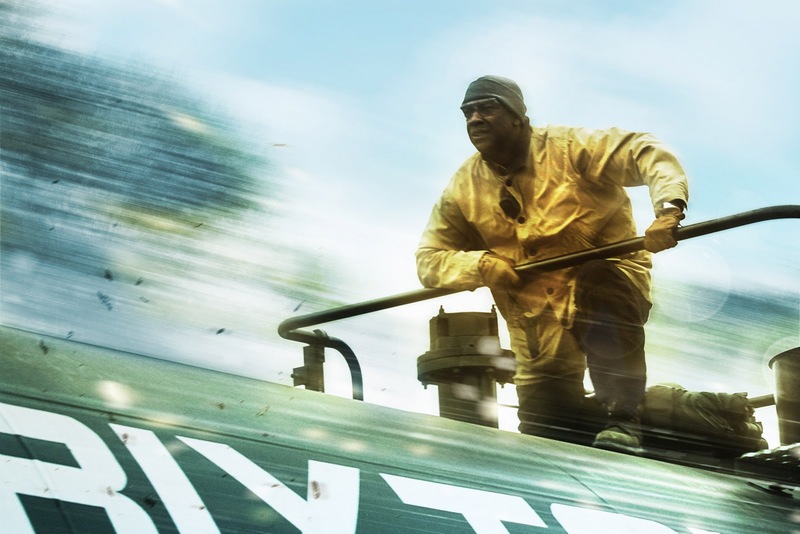 Denzel Washington plays Frank Barnes, a veteran locomotive engineer who trains a young train conductor, Will Colson, played by Chris Pine, to become as good as he is. Frank was on the verge of losing his job in three weeks after a 28-year service to the train company he is in with. Will, on the other hand, had issues with his wife regarding their relationship as a couple. As the two do their training one fine day, an unmanned runaway train was accidentally released due to human negligence. The train carries some strong chemicals used in making glue which is highly combustible and toxic. If not stopped, the train would cause a big explosion in a heavily populated area at the end of the railway track. No one seems to know how to stop the train, until Frank Barnes and Will Colson decided to put the runaway train into a halt. The two must race against time to stop the train before the biggest train accident in history could happen. 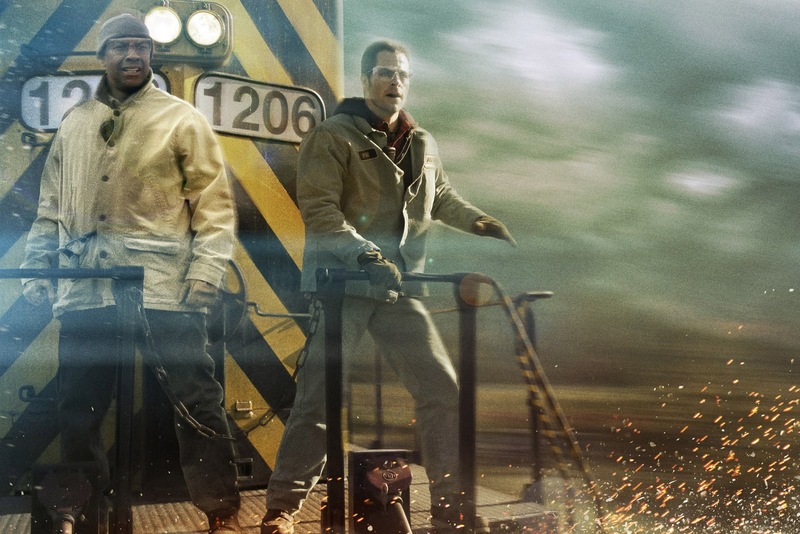 The movie is loosely based and inspired from true events that happened on May 15, 2001, when a runaway train, CSX8888, rumbled on a 66-mile journey going north of Ohio without anyone in controls. In the movie, the runaway train has a body number of 777. And because it is based from true events, we can expect a boring storyline because people already know what will happen in the end. But then again, some early reviews and spoilers could have been wrong. I can attest to the pumped-up action and andrenaline rush that was "Unstoppable". Even my friends never expected that they could enjoy the movie even though they are not a fan of action films, nor a runaway train movie per se. The cinematography is just great, you can even feel you are with Denzel Washington or Chris Pine in the movie while the train is moving. I guess the good audio sound really helps too in giving a more realistic approach to the action while saving the world to be a better place. Exhilarating as you can expected from the movie, "Unstoppable" never fails to give you that satisfying "Whew!" at the end of your movie watching. If the train 777 would be given an OSCAR nomination for Best Performance by an Object, this train will be the runaway winner! The movie itself is not about the big stars who played their respective roles, the true star of this movie is the train that was 777! I have several favorite scenes from the movie, but then again, I wont give them nor write them here to prevent spoilers. 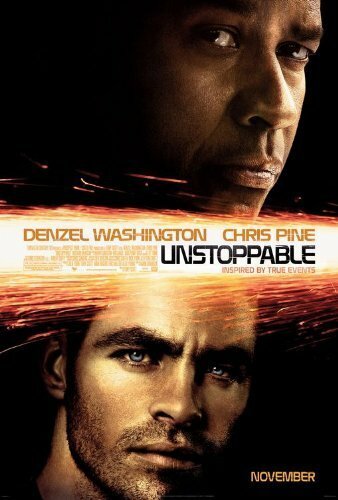 "Unstoppable" movie starring Denzel Washington, Chris Pine, Rosario Dawson, and many more, is showing today, November 12, in select theaters nationwide. Below is the movie trailer of "Unstoppable". Watch this film and you'll know why I mentioned, "don't judge the movie by its trailer". A must-watch for people who seeks action from speed! See yah around!